This kitchen remodeling in the Toluca Lake area was a really fun project for Spazio LA. We wanted to design a kitchen space a bright and open with lots of storage, and one of the client's request was to have a custom banquette seating area for morning breakfasts. 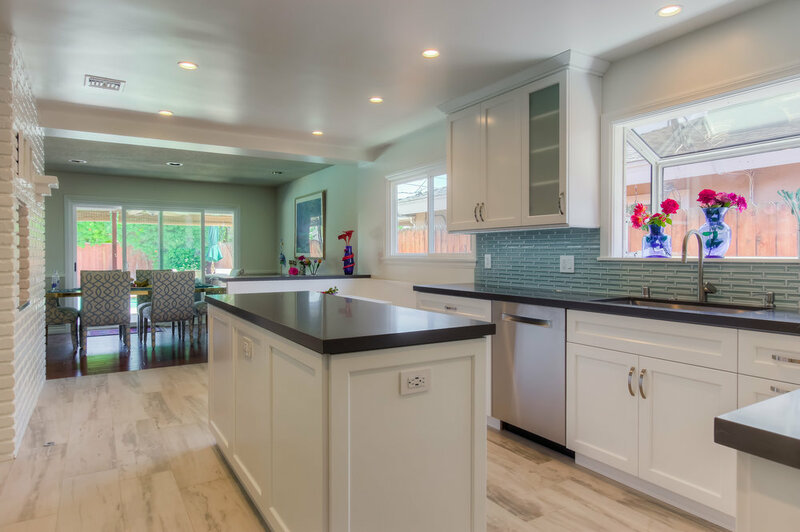 We designed and installed custom shaker style cabinets with caesarstone counter tops, and all new stainless steel appliances give this kitchen a most needed modern look. 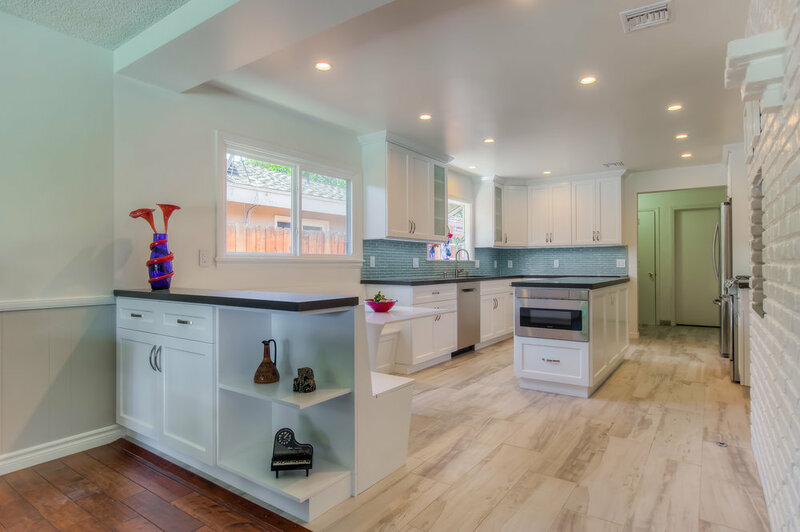 The floors are Italian porcelain tiles to break the white of the cabinets, and the backsplash is a Spanish hand made ceramic tiles with a turquoise accent color to contrast with the white cabinets and dark counters. Check out the full project and before & after photos! — Joyce and Lee S.
Custom white shaker style cabinets with Caesarstone quartz counter tops, and porcelain floors. Custom L shape banquet cabinet with storage area.